Custom orthotics for shoes have many uses. They work to align and support your feet and ankles, prevent and correct foot deformities, and improve the overall function of your foot and ankle health. They come in many shapes and sizes, as they are unique to your feet and your specific condition. Bunions - This bump requires shoes with wide toe boxes and soft and seamless upper soles. Metatarsalgia -Orthotics for this forefoot pain need to be worn in wide shoes. Hammertoe - This toe deformity needs a wide shoe with a deep toe box. Diabetic Ulcers - To help the healing process of ulcers, this orthotic needs a deep shoe, such as a rocker bottom, that helps to relieve pressure. For further information, contact the experts at Foot Doctor of the East Bay in California. We'll help find an orthotic and shoe to fit your needs. Call our office at (510) 483-3390, or schedule your appointment online today! Next to shoe inserts from those famous brands you see at the store, a pair of custom orthotics prescribed by your podiatrist is unbeatable. You've seen inserts and braces at the local super markets, lining aisles in grocery stores, and even on the television. These devices work as a form of short term and short-lived relief from foot and ankle pain. An over-the-counter insert will not correct the biomechanical issues that are causing you pain, nor will they cure long-standing foot issues. On the other hand, if you have flat arches or any other structural problem in your feet, custom orthotics will work to correct the abnormality and distribute your weight correctly across the limbs. They will also provide your feet with more support and cushion than a convenience store version. If you think an orthotic would serve you, we'd love to offer assistance! Contact Dr. Michael Stein and Zeindelin Ahmad, DPM today! With three locations to serve you: San Leandro, Pleasanton, or Los Gatos, CA, we'll help you take a stand against foot pain. Don't be fooled by what you see on T.V. Custom orthotics are the way to go! If your feet are causing you pain, it may feel as if it's impossible to continue your fitness routine. Are the surfaces you're running on too hard, or could a foot exam shed light on the real culprit? Even in today's age, with all the technology that goes into making athletic shoes, they cannot solve all of your aches and pains. In fact, many companies layer their shoes with a soft liner that breaks down and conforms to your foot, instead of providing it with the correct support. As an alternative, we recommend orthotics. Orthotics for exercise can help to correct biomechanical issues with your feet and ankles and rid you of pain. Do your feet overpronate? Maybe you have high arches? Don't think that surgery or rehab has to be your first option. 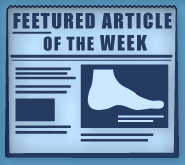 Orthotics may help you stay on your feet and on your fitness regimen. Visit Foot Doctor of the East Bay, in San Leandro, Pleasanton, or Los Gatos, CA, to get fitted for a personalized pair today! We specialize in custom orthotics and can help you get back to your exercise routine, pain-free. Just call (510) 483-3390 to schedule an appointment.